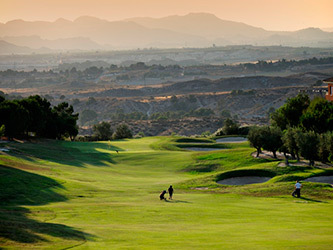 Situated in the hills above the city of Murcia, Altorreal is an extraordinary 18 holes golf course designed by Dave Thomas. 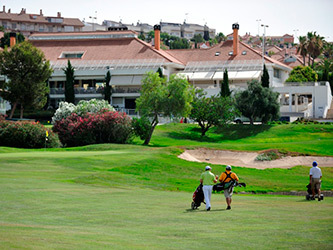 It is notable for its strategic use of water, which comes into play particularly on the 9th and 18th holes. 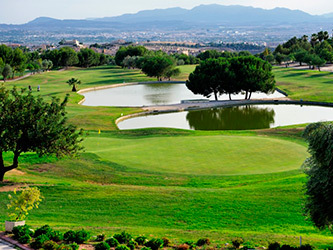 The course is situated just a few kilometres North from the provincial capital of Murcia and has some superb mountain scenery. It is conveniently located 45 minutes from Murcia Airport (San Javier Airport), one hour from Alicante Airport and 15 minutes from the future new Airport in the Region of Murcia. Located in a natural environment with more than 20,000 trees, among which olives, pines and carob trees, thus making a nearly deserted zone in a unique natural area in the mountains. A challenging course for players of all abilities.